Can you see the craft for the babeee? 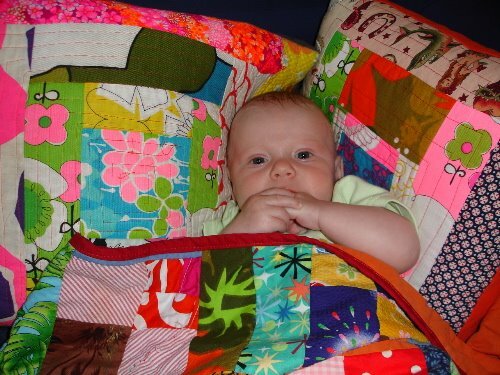 That is a great quilt!!!! Did you make it? Where did you get the fabric? From Aunty Mary's stash. i made the other quilt with scraps too. i will take fotos and post. hey - happy birthday Zillah!!! So I put a package in the mail to you today and I just realized that I didn't even put a freaking card in the box! DUR! I hope you enjoy the goodies. Where is the new post? What are you like busy with a baby or something?